Bob Jaffe | CFS Investment Advisory Services, LLC. 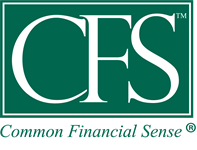 Bob Jaffe joined CFS Investment Advisory Services, L.L.C. in 1999 and is Director, Client Relations. He is an Accredited Asset Management Specialist (AAMS®) and received his MBA from Columbia University School of Business. 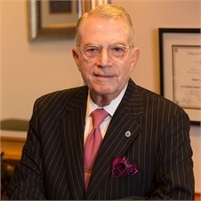 Since 1986 Bob has been advising individuals in planning their investment strategies and establishing major charitable gifts. He currently manages assets for individuals and families as well as 529 Plans for their children and grandchildren. Bob is graduate of Dartmouth College, and attended the Amos Tuck School at Dartmouth. He is an alumnus of The Peddie School, where he served as Director of Development. Since May 2017, Bob and his wife Debbie have resided in Saratoga Springs, NY, where they built a home and office. Bob manages his clients' accounts from his Saratoga Springs office. He communicates with clients and colleagues both electronically and by frequent visits to CFS in Totowa. Active in their new community cultural life, Bob and Debbie are members of the Hyde Collection Art Museum, Saratoga Performing Arts Center, Friends of the Tang Art Museum and Scribner Library at Skidmore College. Bob is a Fellow in Perpetuity of The Metropolitan Museum of Art.